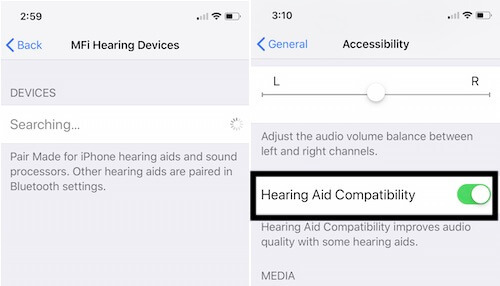 Turn on hearing Aid in iPhone – iOS 8 to iOS 12 or later device. If you’ve hearing impairment then use Hearing Aids inbuilt feature on your iOS, iPhone or iPad. Many features involved in new iOS which make Apple device user-friendly. A feature Speak Screen is very useful for the blind user, optimize Text Size in iOS than this article can be more helpful to Hearing injury user so those users can easily use his or her iOS device with enjoy. Do you know what you can do using Hearing Aid in your iPhone, iPad or iPod touch? If No. then read beneath, through Hearing Aid, you can get better and clear phone conversation, FaceTime call audio, as well Music and Turn by Turn navigation. Moreover, you can hear clear audio which is delivering via your wireless paired iPhone, iPad or iPod touch direct access to your made iOS device. The main benefit is no extra hardware needed. Just enable or Turn on Hearing Aid in iPhone, iPad or iPad touch and make the pair with any other Bluetooth devices for getting a quick and easy response. Your iOS 8 device can search automatic other Bluetooth devices. Using this way you can able to manage your paired device. Easily access and control Just need triple click on Home button of your iOS devices, as well you can also change left and right side volume. Go to the “Settings app” on iPhone/iPad or iPod Touch. Next Tap on “General” and “Accessibility“. Find and Tap on “MFi Hearing Devices“. Here your Device will search compatible Hearing Aids nearby you. You also Enable, “Hearing Aid Compatibility” under Accessibility. Hear, in the screen you can see Hearing Aid Mode Toggled is off, so do turn On it like green button. That’s it. Give us your replay in the comment how to help you this tip on, enable/ Turn on Hearing Aid in iPhone or iPad. 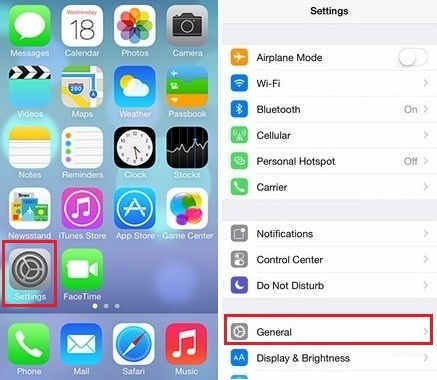 If your iPhone or iPad has already turn hearing mode and you’re want to turn off or disable it then follow beneath given steps to do it quick and easy. 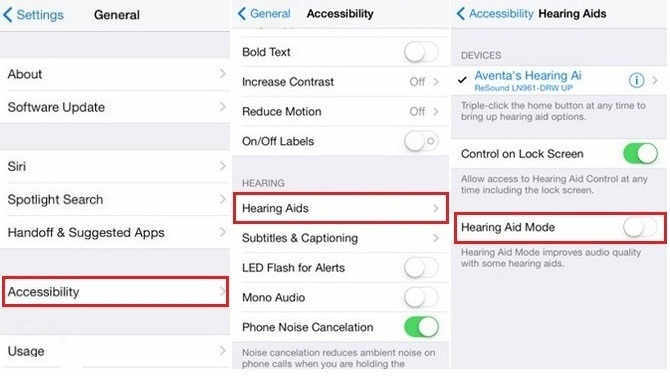 How to Turn Off or disable hearing Aid mode in iPhone, iPad. 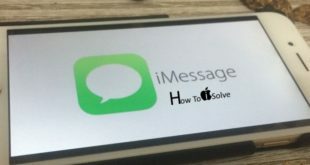 Would you like something innovative for your Apple OS device iPhone X Plus, iPhone 8/8 Plus, iPhone 7/7 Plus, iPhone 6/6 Plus, iPhone 5S, iPhone 9 kindly keep in connected daily to get new tips with device Screen.